With Passover and Easter around the corner, check out the March/April 2019 issue of Biblical Archaeology Review, which is bursting with ancient religious iconography and architecture. Join us on a hunt for the earliest images of Jesus’s resurrection, Jewish graffiti around the Mediterranean world, and ancient Israelite architecture designed to accommodate ritual impurity. See what people ate in Roman Palestine and investigate the apocalyptic world of 1 Peter. Finally, journey to the ancient sites of Colossae in Turkey and Susa in Iran! 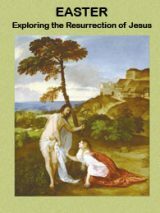 Visit us online at Bible History Daily to see the latest news in Biblical archaeology, as well as additional articles and videos about key Bible and archaeology topics, including one by John Dominic Crossan and Sarah Sexton Crossan about their search for the earliest depictions of Jesus’s resurrection—the original Easter vision. 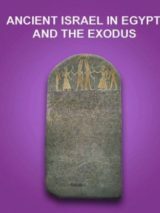 Explore evidence for the Exodus, one of the most dramatic events in the Hebrew Bible, and for the Israelites in Egypt by checking out the free eBook Ancient Israel in Egypt and the Exodus. Be sure to explore the BAS Library, which features every article ever published in BAR, Bible Review, and Archaeology Odyssey, all footnoted articles in BAR Notables and Special Collections of articles curated by BAS editors, including one about the sites where Jesus walked. First Person: Was Pontius Pilate’s Ring Discovered at Herodium? Israel to Egypt: Go Fish!